Despite countless media campaigns, organ donation rates in the United States have remained static while need has risen dramatically. New efforts to increase organ donation through public education are necessary to address the waiting list of over 100,000 patients. 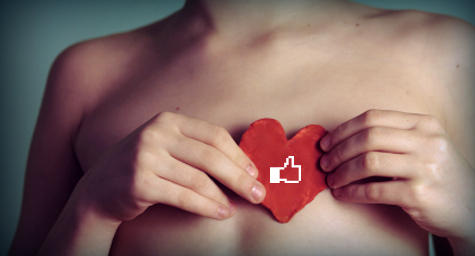 On May 1, 2012, the online social network, Facebook, altered its platform to allow members to specify “Organ Donor” as part of their profile. Upon such choice, members were offered a link to their state registry to complete an official designation, and their “friends” in the network were made aware of the new status as a donor. Educational links regarding donation were offered to those considering the new organ donor status. On the first day of the Facebook organ donor initiative, there were 13 054 new online registrations, representing a 21.1-fold increase over the baseline average of 616 registrations. This first-day effect ranged from 6.9× (Michigan) to 108.9× (Georgia). Registration rates remained elevated in the following 12 days. During the same time period, no increase was seen in registrations from the DMV. Novel applications of social media may prove effective in increasing organ donation rates and likewise might be utilized in other refractory public health problems in which communication and education are essential. When Harvard University friends Sheryl Sandberg and Andrew M. Cameron, M.D., Ph.D., met up at their 20th college reunion last spring, they got to talking. Sandberg knew that Cameron, a transplant surgeon at Johns Hopkins, was passionate about solving the perennial problem of transplantation: the critical shortage of donated organs in the United States. And he knew that Sandberg, as chief operating officer of Facebook, had a way of easily reaching hundreds of millions of people. The findings of the study are fascinating and a reminder of the variety of ways in which social media, and particularly Facebook, can be used towards the public good. But when it comes to the issue of citizen engagement, I have reservations about seeing Facebook as a virtual public sphere. Rather than a public square, Facebook resembles the food court of a shopping mall: while it is a social space, it is still a private one and it is still about business. But despite that fact, there’s lots of amazing things that can be done, and we are just scraping the surface. Some of my thoughts on this are in a recent article at TechCrunch. Like this? Also read about the foundations of motivation in the age of social media.